A good sandwich maker needs to do far more than just squash two slices of bread together. The top models will cope with thick-sliced breads, harder crusts, stretchy cheeses and moist fillings like tomato. The best sandwich maker would be the one that not only meets your expectations in terms of features, but also fits well into your budget. While, there are hundreds of manufacturer who produce robust sandwich makers, buyers often find themselves into a situation where they are overwhelmed by so many choices available or they just buy a sandwich maker of highest price to save time. We have created this guide so that you can quickly choose the right sandwich maker for your needs and at discounted price. 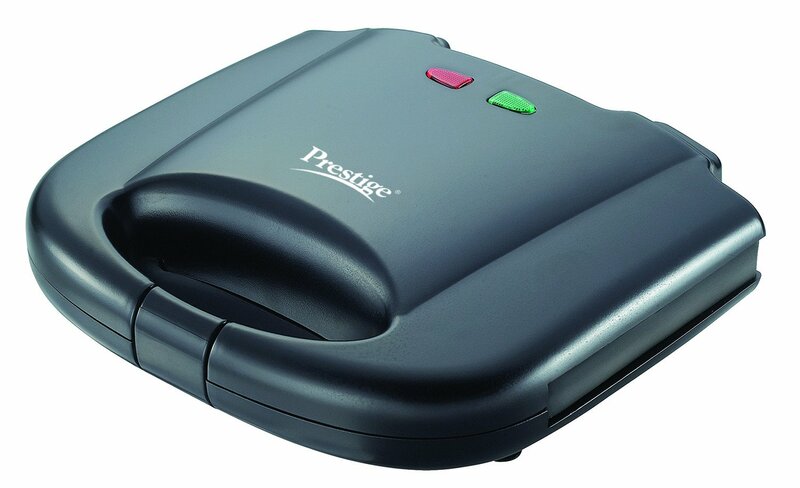 A Panini Press sandwich maker is very handy kitchen appliance with which you can prepare a variety of sandwiches. 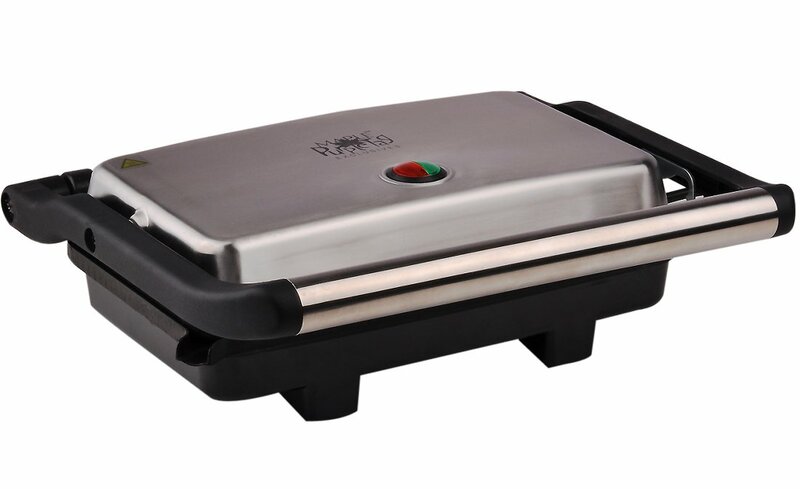 The functionalities of a Panini Press are of a grill but it can be a replacement for a toaster and griddle too. It features plates on the top and bottom, which when closed, heat the food. You can prepare your favorite burger patty, pancakes, kebabs etc. easily with the Panini Press. 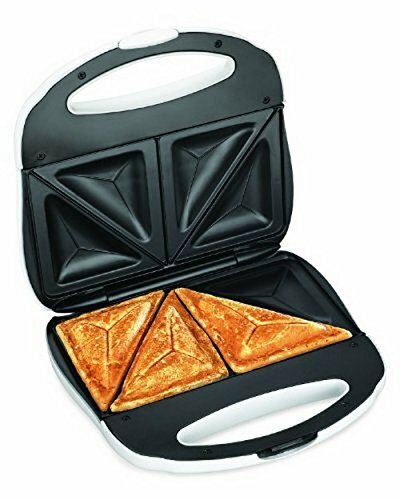 A four-triangle sandwich maker is common in most households. It consists of four square plates that are triangular shaped from the interior. It features the close down handle that is excellent for making grilled cheese sandwiches and other snacks. Here’s our pick of the best sandwich makers that you can buy in 2018, based on owner rating calculations. 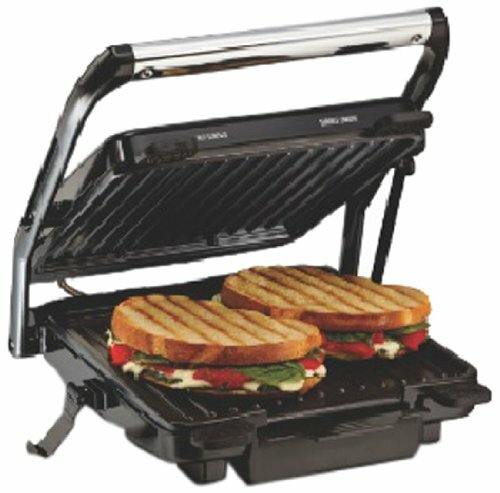 If you want to make sandwich with ease, consider buying Hamilton Beach 25460 Panini Press Sandwich Maker. You can grill sandwiches of just about any thickness with it. It’s also equipped with a cafe-style floating lid, enabling you to evenly press sandwiches of all sizes. It heats up reasonably fast and cooks sandwiches well. Power and preheat lights let you know when the sandwich maker is ready. Storing this sandwich maker is easy thanks to its convenient upright storage design. 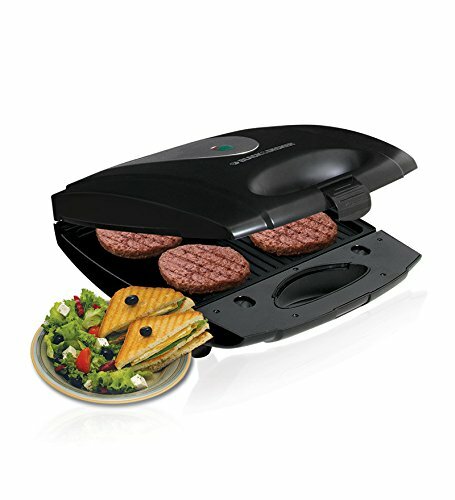 Cuisinart Dual-Sandwich Electric Grill allows you to prepare two sandwiches at the same time. It has easy to clean non-stick grill plates that distribute heat evenly for faster and even cooking. This sandwich maker from Cuisinart has has red and green indicator lights that tell the status of the machine, a diagonal indentation that slices prepared sandwiches in half, and a recipe book with interesting sandwich, French toast, and omelet recipes. A lock-down lid guarantees both sides are cooked properly and raised ridges on plates seal in ingredients. 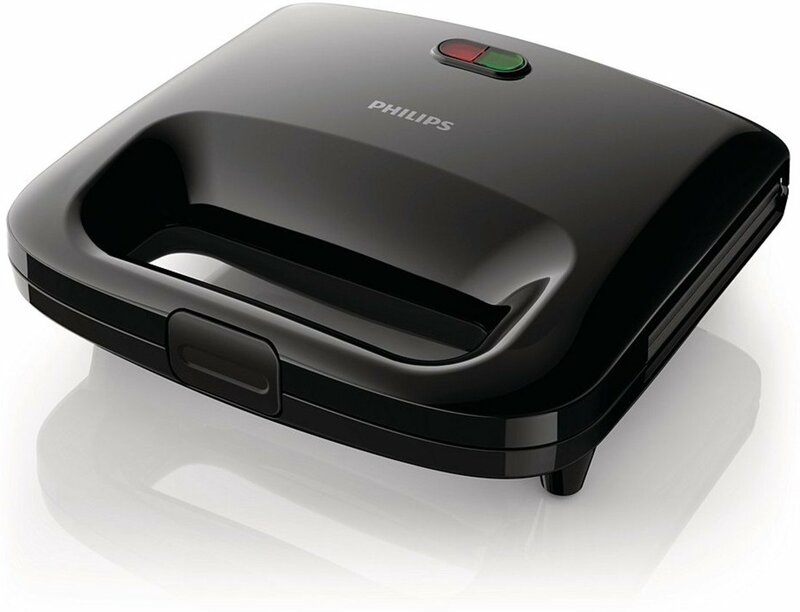 With Hamilton Beach Breakfast Sandwich Maker you can make your favorite sandwich in less than 5 minutes. 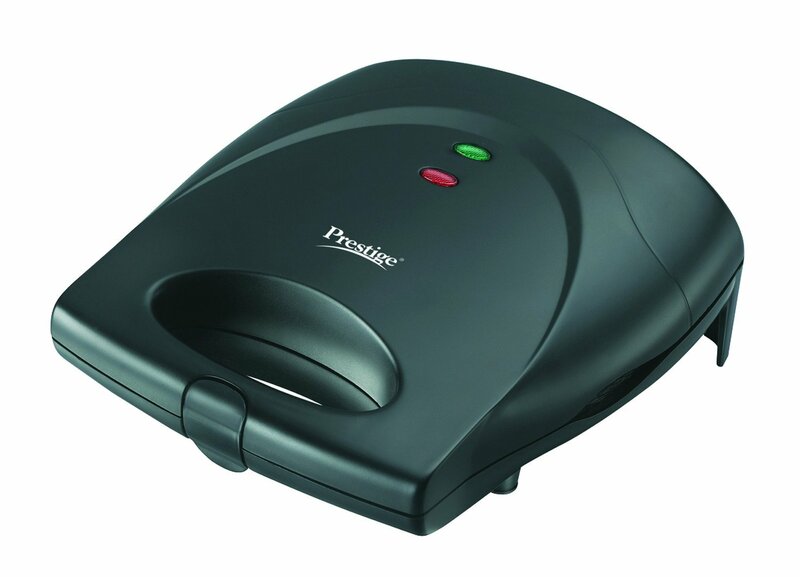 This sandwich maker can help you prepare sandwiches with English muffins, small bagels, biscuits and many more items. It is fast, easy to use, and has removable dishwasher safe components that last long. This breakfast sandwich maker has sturdy durable housing that prevents heat loss while making sandwiches, a non-stick coating that dissipates heat evenly when cooking for better and faster results. Using this appliance is very easy. The idea is that you start with the bottom of a muffin, add meat, cheese, or vegetables on top, close that section and put an egg on the next layer, and put the top piece of bread on top of the egg. Close it up, and in about five minutes, the egg is cooked, the bread is toasted, and everything is very hot. Slide the bottom out from under the egg, and there’s a complete sandwich. This latest Morphy Richards sandwich maker features ready to cook and power on neons. The compact, upright design allows for easy storage. it consists of some very efficient features like Non stick plates, which are very easy to clean, a comfortable handle for easy carrying and a neon indicator for ‘power on’ option. Its ‘anti skid feet makes it very stable and easy to use. 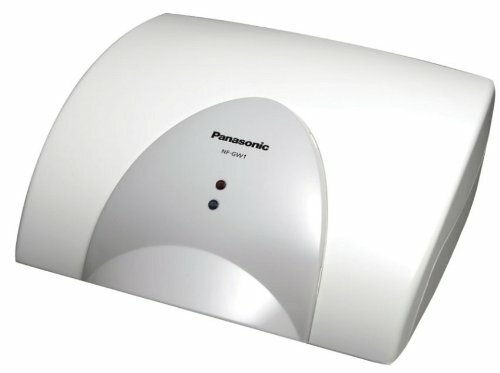 It has a 2 slice capacity and 750 W power consumption. This sandwich toaster has a many useful features. 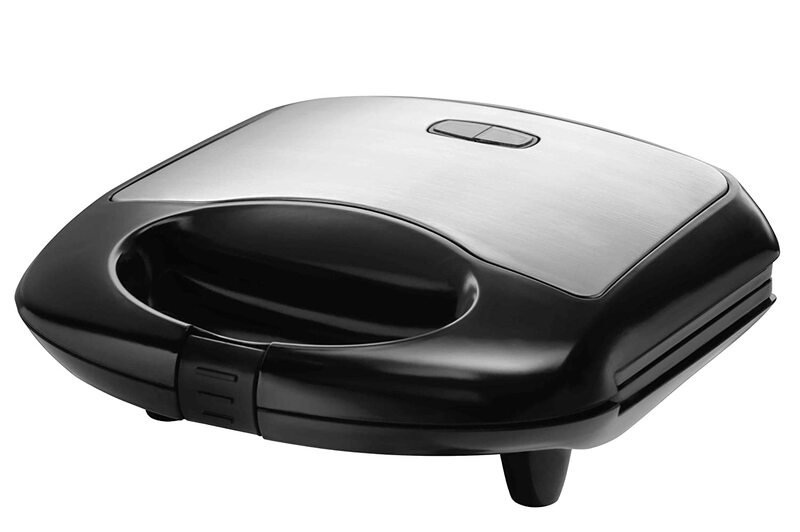 It comes with non-stick grids, so you can clean the surface of this sandwich maker easily. Its cord wrap can improve the security feature of this product. You can also setup the right temperature in this device because it has preheat light indicator. For space-saving storage, lock the handle and store this compact appliance upright in any cabinet. 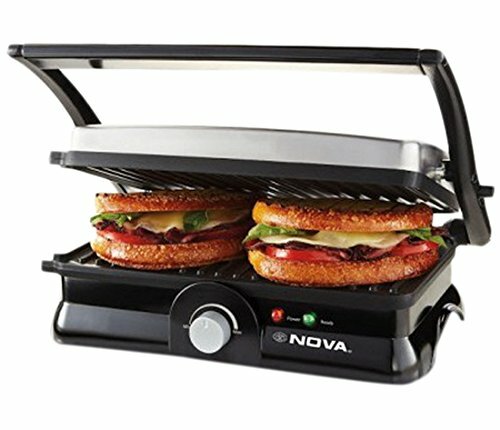 For more popular Sandwich Maker in India, check this below table.